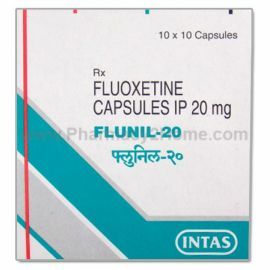 Fluoxetine is a selective serotonin reuptake inhibitor which acts on the brain and blood receptors of serotonin. Serotonin is a neurotransmitter which controls our mood, happiness and stress. 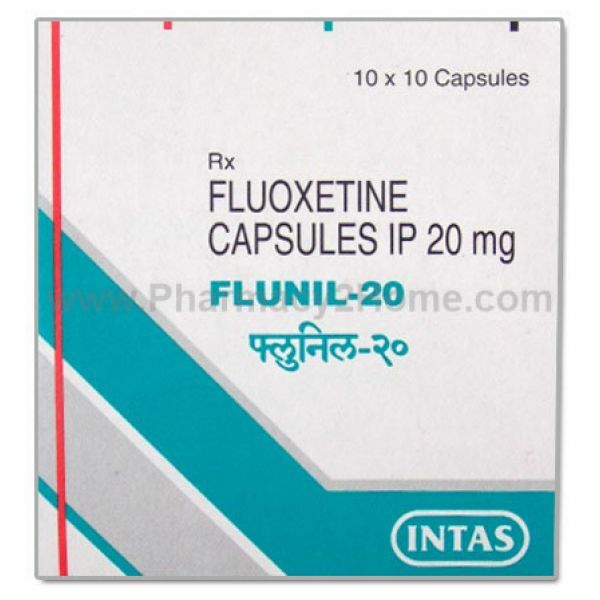 Generic Prozac inhibits its reabsorption in the blood and the brain receptors thereby changing the negative mood to a positive one. Keep it in its original pack away from light, heat and moisture. Keep away from kids and check expiry date regularly. Dosage depends on the condition being treated and the age of the patient. Kindly consult your doctor for the correct dose before starting this drug. Skip the missed dose if it is time for your next dose. If not then take it as soon as you remember. It increases suicidal thoughts in young adults (up to 24 years of age).Close monitoring required. It reacts with certain medications. Not to be used in children under 7 years of age.